Harbor WildWatch’s first science-social of the season will welcome Ken Campbell, Director of The Ikkatsu Project, to discuss marine debris in the wilds of Alaska (and at home in the Puget Sound). Formed in 2012, The Ikkatsu Project seeks to remediate marine debris through coastal surveying and exploration. They recently traveled to the Cape Decision Lighthouse in southeast Alaska to survey the surrounding beaches and collect water samples for microplastic research. The lighthouse is located in one of the more remote regions of the Alaskan panhandle at the southern tip of Kuiu (south of Sitka and west of Wrangell). With this remote location in mind, the team was interested in learning if – and how – the effects of plastics have impacted this coastline. During his presentation at Gig Harbor Taproom, Ken will share a trailer for “Decision” – an in-progress film about this trip – as well as a short film about The Ikkatsu Project and marine debris. He will also be joined by several special guests who worked with The Ikkatsu Project at Cape Decision Lighthouse. 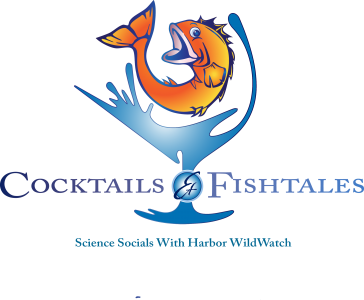 Cocktails & Fishtales is a science-social series for ages 21 and over. 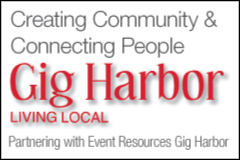 Held once a month, each event features a speaker on an ecological topic at either Gig Harbor Taproom (3155 Harborview Drive) or Ocean5 (5268 Point Fosdick Drive NW). These programs are an opportunity to enjoy an evening out in Gig Harbor while engaging with like-minded eco-enthusiasts in a lively and social learning experience. Harbor WildWatch Steward Club members have free admission; guest admission is a suggested donation of $5/person at the door. Doors open at 5:30pm; presentation is from 6-7pm with time for a short Q&A after.